We are all unique in our own way. Not one person has the same fingerprint or identical DNA strand. Expressing ourselves through the way we present our appearance is important to us as a whole. As a culture, we try to set ourselves apart from one another by the clothes we wear or the way we style our hair. We strive to show people that we march to the beat of a different drum. So, what does your hair say about you? Does your hair tell a story as to what facet of your personality you feel like expressing that day, or does it stay in a particular character at all times? Personally, I like to morph into different characters to express what particular personality is shining through that day. Am I feeling more whimsical, or is my edgier side pushing her way through? With so many styling techniques, the options for unique hairstyles are endless! 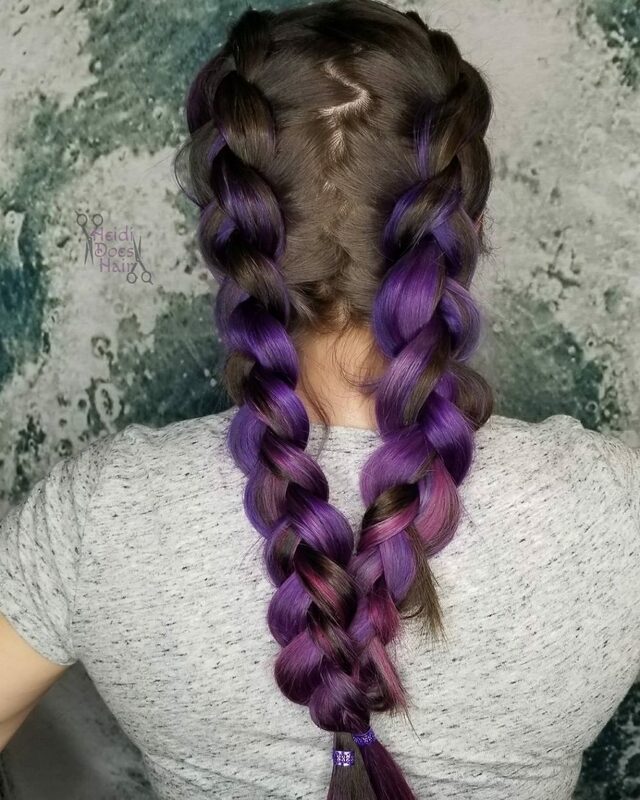 I wanted this look to feel like a ray of color shining through her hair. I loved how versatile this look is and how bold of a statement she makes by wearing this. The maintenance for this style is easy. 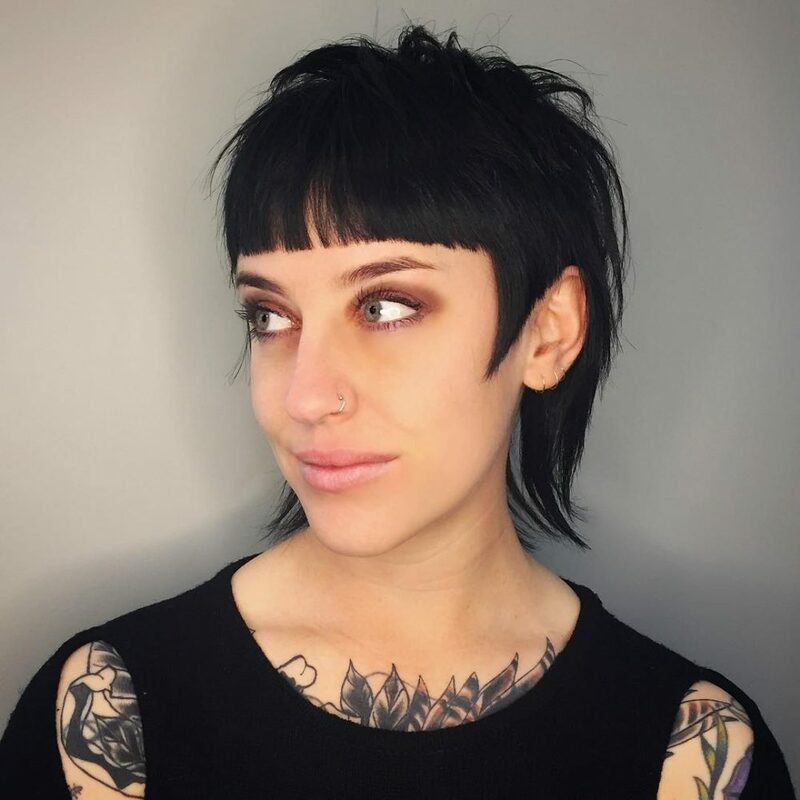 There is no required touch up, so you can take advantage of each unique look that is created by the grow out. Any color and combination of colors can be used in the “ray”. 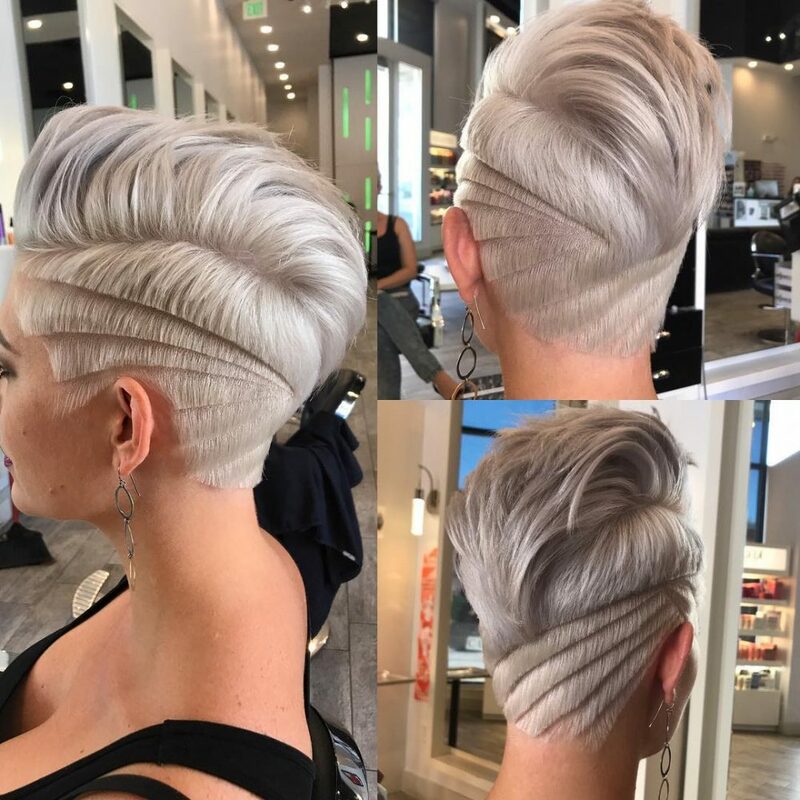 This look is perfect for anyone who wants to express the confidence of their style and uniqueness by living through art and taking on a fresh look. This is hair art that comes from the heart. In technical terms, it is a fashion color in a free-flow sculpted design. My favorite part of this design is that when the client gave me full creative control for this look, I was able to create something that would make those who saw it feel a bit of warmth in their hearts. In a world where there is so much suffering, we could certainly use as much love as possible. As I worked the hair with my fingers, I started swirling it into heart-like shapes. The style flowed and evolved until it was finished and complete. It is my belief that we need to use our hands, hearts, and actions to infuse as much love as possible into this world, and one way that is very powerful is through art. 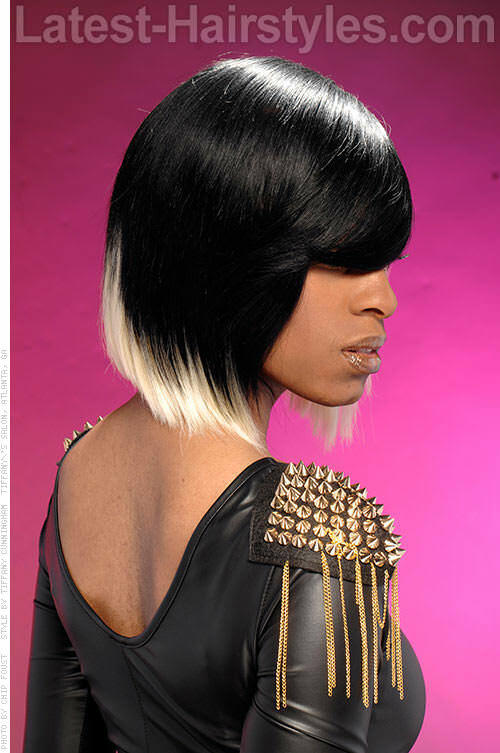 Fashion color is a specialty look that requires confidence and maintenance. It is best done by a professional to maintain the integrity of your hair. Listen to your stylist! They will know what’s best for you as far as what matches your skin tone and what your hair type can handle. Be sure to tell your stylist what the go-to styles for your hair are. This will help them decide what color placement will best suit you and create a result that you are comfortable with. Being confident with your hair design is very important as it will attract attention and conversation. Maintaining the integrity of your hair at home is also important to help prevent unnecessary fading. Remember to keep your hot tools at 350° or lower and use good hydrating products like Hair Phix Hair Masque. To help keep a sculpted hair design similar to this one, I recommend a firm hold hairspray like Kaaral’s Fixer. Hair designs like this are works of art on your head and can take any where from four to seven hours. Plan accordingly and have fun with it! I would describe this look as edgy and eccentric. The vibrancy of the vivid blue color melted into the steel looks fantastic against my client’s skin tone. 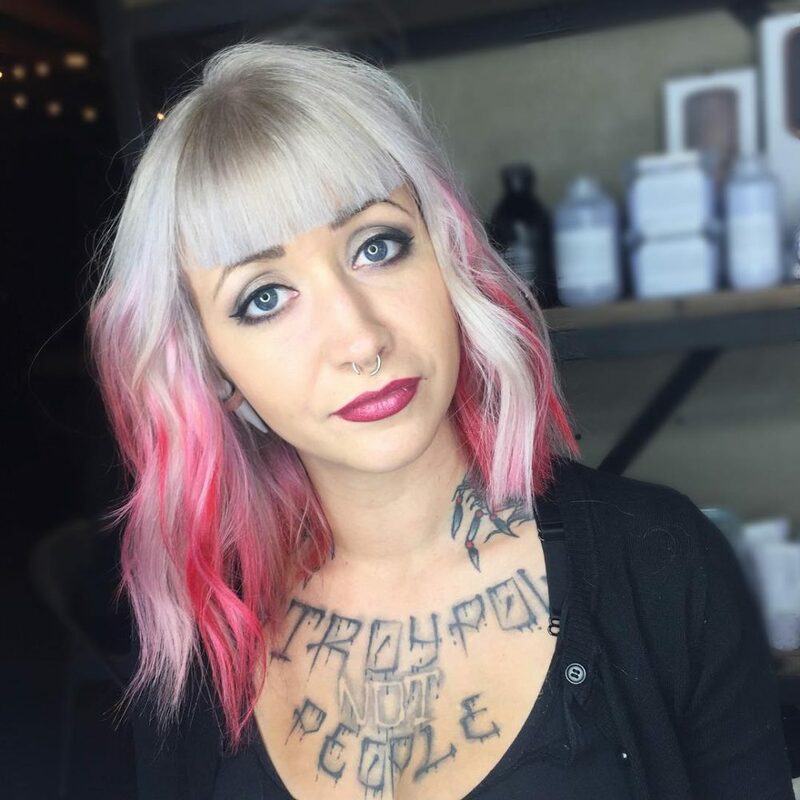 My favorite part of this color is that it accents features like her tattoos and piercings to complete her urban and very authentic look. 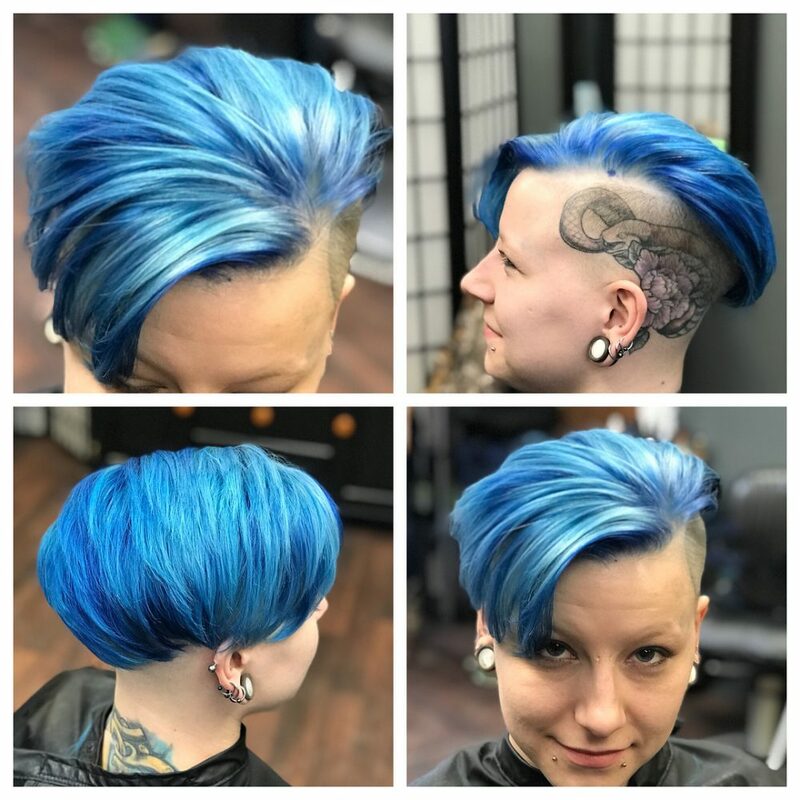 I absolutely love it when my clients let me go crazy like this! She felt comfortable and confident in her own skin, and that makes me feel as though I completed my job as a hairstylist. 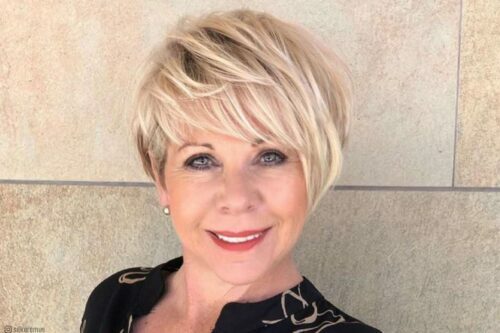 The most important advice I can give a client who wants vivid colors in their hair is to understand that is a delicate process and sometimes requires more than one visit to the salon. Once leaving the salon, the client must be willing to wash their hair in cold water to prolong the length of the color. Clients need to be prepared to return to the salon for regular visits every four to six weeks. It is very important that the client is confident in where they want the placement of their fade to fall around their face, eyes, nose, and ears. I finish every color appointment stressing the importance of a color-safe shampoo and conditioner. I also stress the importance of using a heat protectant with their hot tools on a low heat setting when styling. 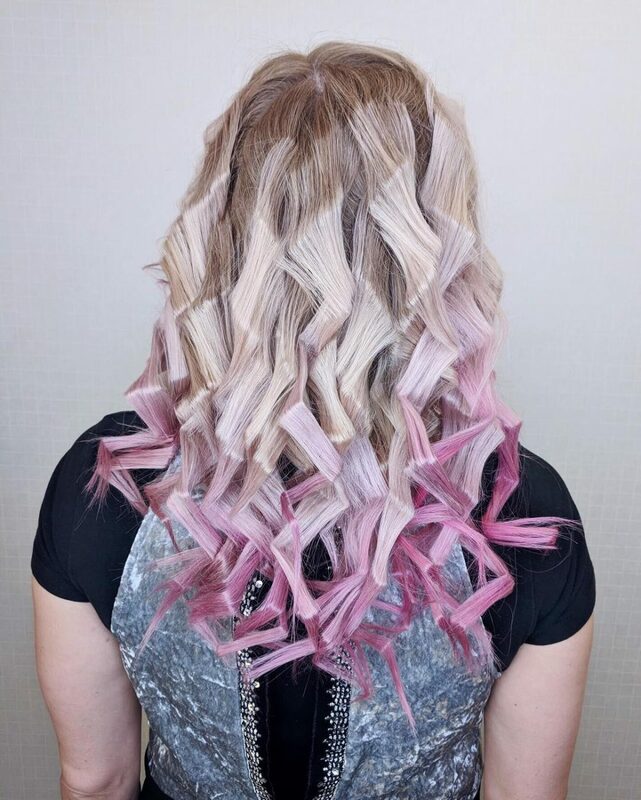 To complete a fun and edgy style like this, I urge all my clients to take home a texture builder and a sculpting paste to the change up their day to day style while providing a strong flexible hold! This look is a spunky alternative to your average curl. I love how much character it has and that you don’t see it everywhere. Always use a heat protectant, and it helps to have one that has holding power as well. You’ll also need a flat wand to achieve this look. When wrapping the hair around the wand, make sure not to twist the hair. It only works when wrapped around the flat iron. I would describe this look as sassy and punky. It’s a great combination of calm and edge. My favorite part of this is the color placement. I didn’t use a traditional balayage technique and I love how it made it look seamless. In my opinion, this haircut can be worn by anyone. It can be worn messy and still look put together, or styled curled or straight to show texture and movement. It is also super low maintenance. The color is higher maintenance, but so much fun that it can be easily maintained by your excitement. However, if you are a wash every day kind of gal, it’ll fade the pink color out quickly. 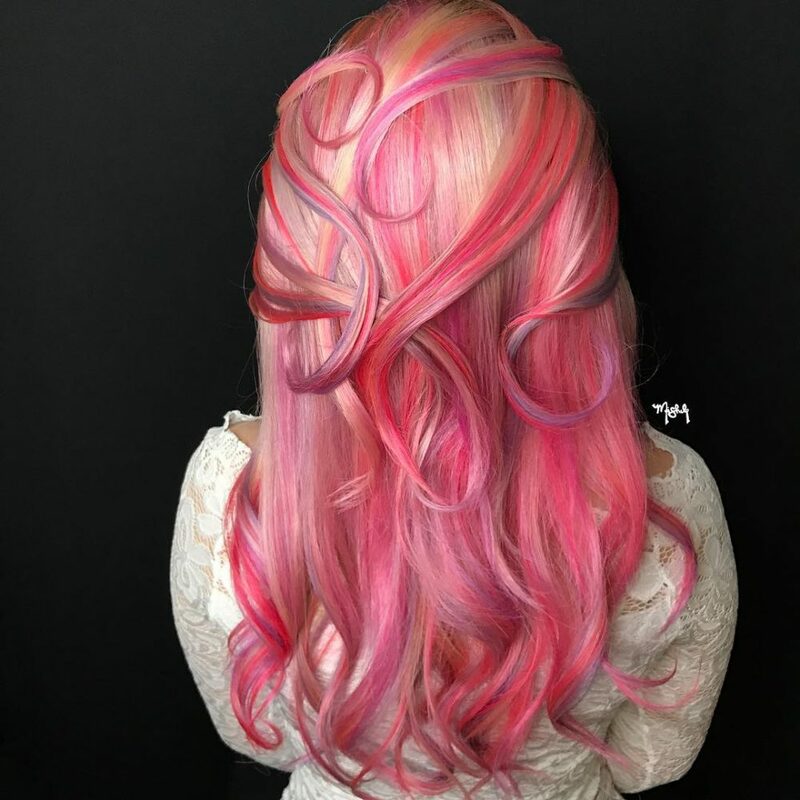 The pink should fade out pretty though, so if you just want to transition back to blonde, it is easy! I’m a firm believer that if you’re confident in how the hairstyle looks on you then other people will love it too. To me, there is no age limit or other quality that should hold you back from trying something you want to try with your hair. You only live once, so do it! I would describe this look as dope! My favorite thing about this look is how edgy and trendy a minimalist design looks. 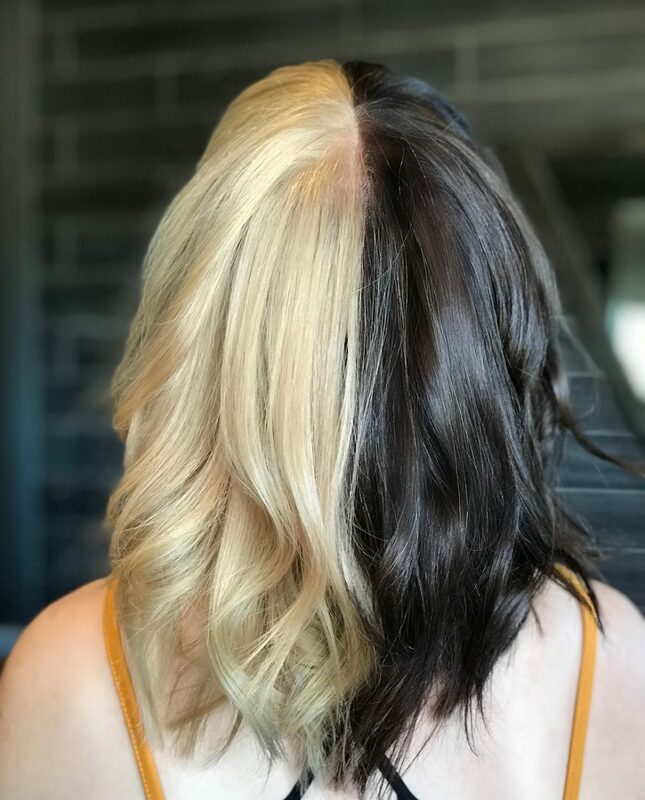 I love the contrast between the light and dark of this client’s hair, and how the simplicity really showcases the precision of the design. This look is really great for the professional client who still wants to express themselves creatively. I recommend considering hair density and texture as the biggest factor with this look because, with very fine and/or thin hair, it can be obvious that a large portion is shaved when the hair is worn down. This is a very low maintenance option as far as product is concerned, and very versatile when we consider head and face shapes. 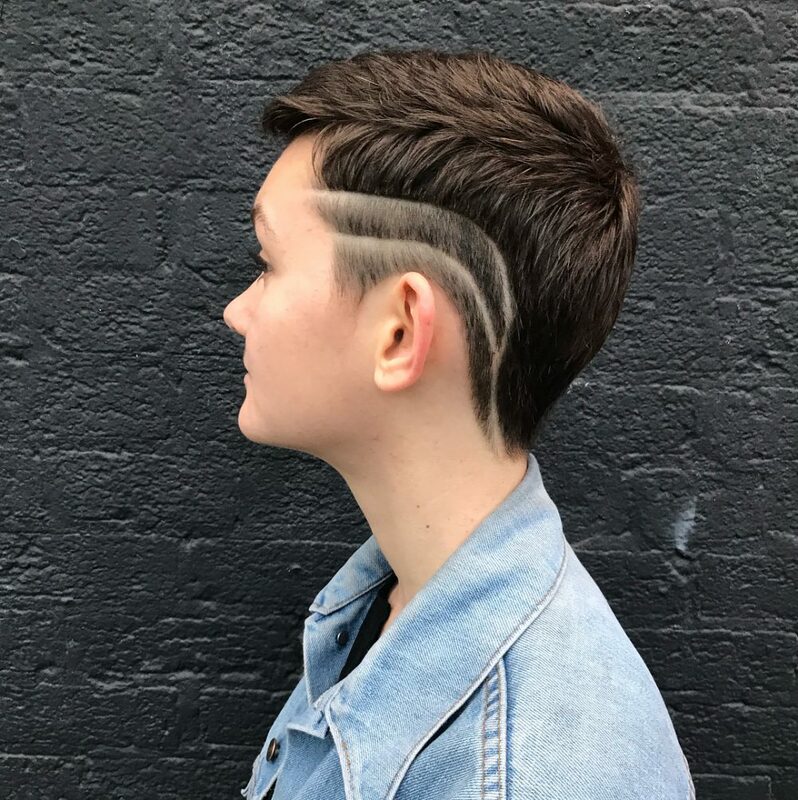 If a client is looking to keep their design and undercut relevant, they will need to see their stylist every two to four weeks, depending on how fast their hair grows. 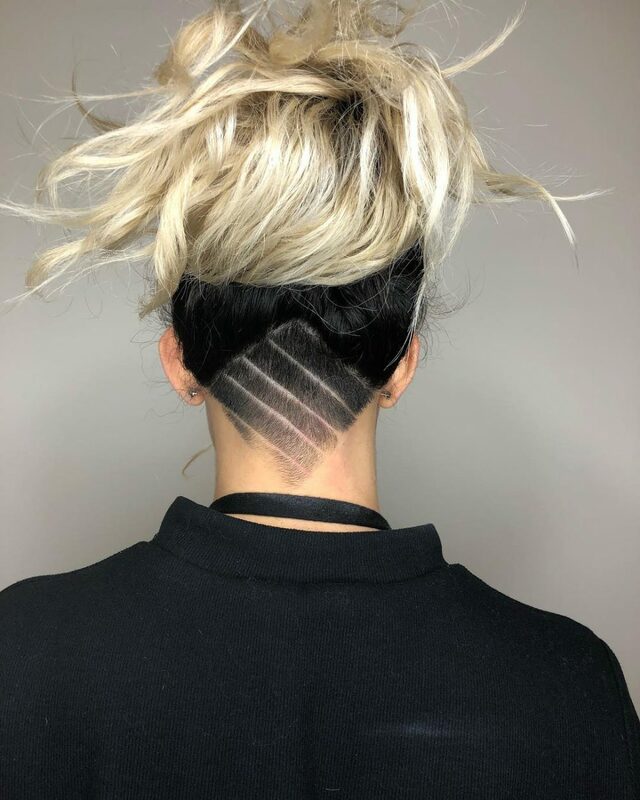 This haircut is a unique version of a modern mullet. All the little details are what I think make this cut fresh and modern. The short, blunt and layered fringe opens up the eyes and brows while the geometric points in front of the ear contour her high cheekbones. This cut is best for medium density/straight hair, but can still be achieved by other textures with a bit more of a blow drying and ironing regimen. 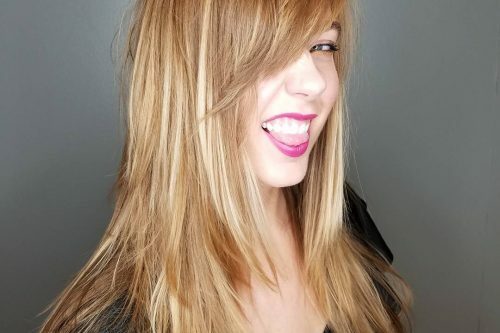 I prepped her damp hair With Catwalk Root Boost, blew the hair dry using my hands to keep a natural, lived-in feel, then finished with Bed Head Manipulator Matte to add separation and piecy-ness to her “business in front and party in the back” look. This look was inspired by my client’s need to be different and try several things at the same time. She told me that she always felt she looked good with both super light and dark brown hair. We decided to mesh the two and while in progress, I suggested we throw in a pop of color. I had been yearning to use Lemon, and it just so happened she loved the idea! At my salon, we use Kevin Murphy color and styling products. The pop of Lemon is by Pulp Riot color. Because the lightening process can be very harsh on already processed hair, I sent my client home with Kevin Murphy’s Restore which is a repairing cleansing treatment. I encourage my clients to be their unique selves and present me their outlandish ideas. I will then put my own spin on the idea to create the perfect balance between edgy and classic. I think this look is for anyone with the courage to be themselves, as well as anyone who can’t decide and wants to surprise people. Geminis might be particularly attracted to this look. This look is a modern take on the classic pixie haircut. It’s edgy without out being too over the top. I love the design on the side. It’s a cute surprise and makes you do a double take! I recommend using a sea salt spray such as Bumble and bumble’s Surf Spray for texture, as well as a matte pomade like Rudy’s Matte Pomade. This product will help you to separate pieces and refine the look. I like to use a pea-sized amount, emulsify it between my hands, and run my hands against the hair to separate the hair. It gives the style a cool, textured look! This look can complement anyone! 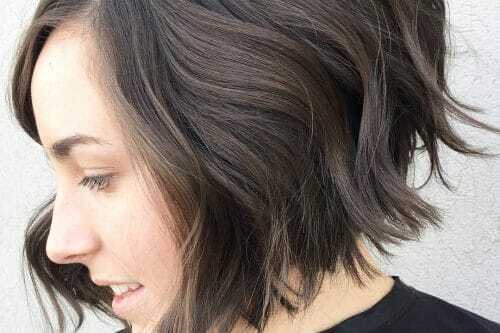 It’s definitely for someone that’s fun, stylish and edgy, but can also be subtle enough for someone that wants to try something new or is bored of the basic pixie. If you want effortless hair with a fun twist, this look is for you! I call this look a pixie undercut with designs. The top is longer than the sides and it hangs over if it is worn down. My favorite thing about this look is that it’s actually very versatile. You can wear it down with side-swept bangs, or put some loose curls in it for a totally different look. A high pompadour would also be really fabulous. After the hair was shampooed and towel dried, I applied about two golf ball-sized amounts of Mousse Bouffante from Kerastase and two mists of Huile Cheveus Fins from Kerastase for shine and volume. I power dried with my fingers, concentrating on the roots to give it maximum volume and height. I finished the look off with Baume Double Je pomade and Laque Couture hairspray, also from Kerastase. he whole process should not take longer than ten minutes. I recommend this look for clients in the 20-40s age range that don’t have a lot of time to spend every morning styling their hair. I also recommend it to fun and edgy clients who are looking to try something new. We can create different designs every three to four weeks when she comes in for a touch up. At the time we did it, I called this look “business on the top and party underneath”. It’s a half-and-half look. This client wanted to keep her natural color on the top and have some beautiful purple color underneath. 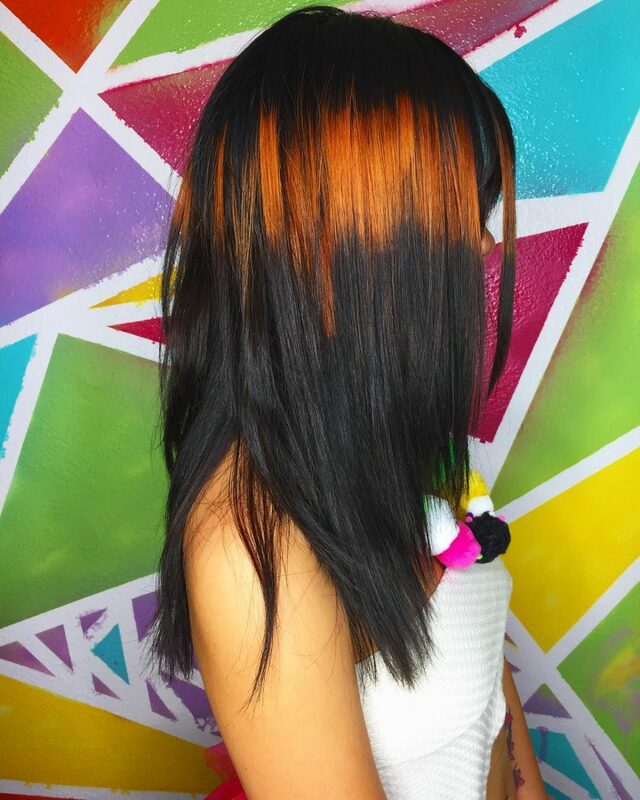 She was originally all over sunset colors, so we put her natural brown back on the top. I love the way that this can be styled in braids or buns. She has a metric ton of hair, so any way that it’s styled, her hair is pretty fabulous. First and foremost, you’ve got to use sulfate-free and color-safe professional products. The best recommendations are always from the stylist that’s creating the colors. I also advise keeping hotter things away. Keep the sun off of your hair, use cooler water, and try to use extremely hot styling tools less often. These vibrant semi-permanent colors need extra special care. 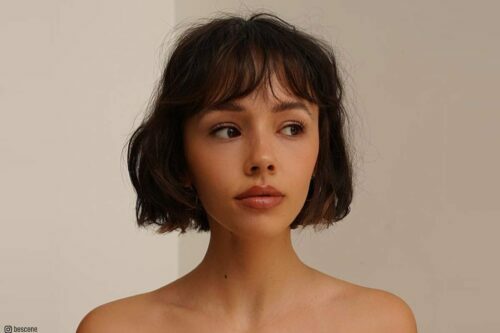 I recommend this look for literally anyone with shoulder-length or longer hair. I have a lot of clients with fun colors, and hiding it underneath usually works. It used to be that only certain types of people could pull this kind of thing off, but I have clients anywhere from seven years old to 70 years old that rock these colors. Some are the whole head, and some are just tiny pieces. Personalizing placement for each individual is key, and purple is a gateway color. Most clients get a little piece of purple in their hair and before you know it, they want all over rainbow colors! 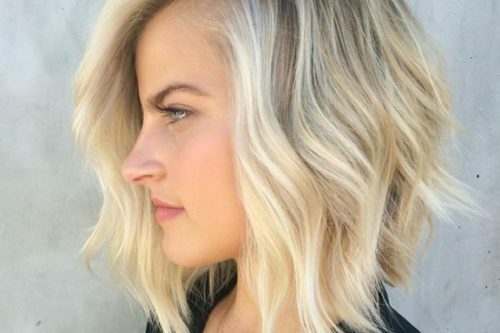 Have you ever wanted short hair without the commitment? This is the style for you! Make your long tresses more sophisticated with this simple yet complex-looking technique. On clean dry hair, apply your favorite oil-based shine product throughout ends. Taking vertical partings, curl your hair with a medium to small curling iron. Work your way around your head until completed. Shake out curls and redefine a few by twirling your finger around the strands on the outer layers. Take the hair behind the ears into a medium tension ponytail at the nape of the neck. Wrap a discrete hair band around the midlength of the ponytail. 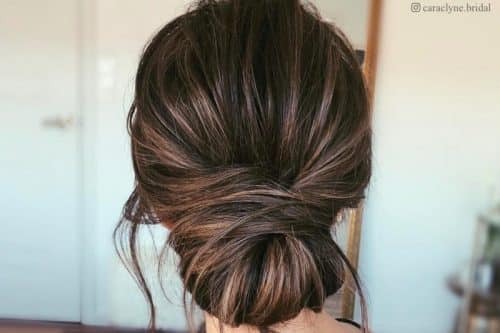 Take approximately an eighth of the amount of hair in the ponytail and hold it tightly as you slide the rest of the hair up towards the nape of the neck. Tuck the ponytail up into the hair and fasten with hairpins. When using hairpins, it’s a must to weave them in and out to secure the hair. Once in place, bend one leg of the pin into what I refer to as a “kickstand”. This will help prevent slippage. Pull on the structure to loosen up the style. Lightly backbrush the sides of the hair in front of the ears, creating expansion. Redefine some of the curls by twirling your fingers around the hair. Marry the front sides into the structure by weaving a few hairpins through the curls and using the kickstand technique. Finish with your favorite hairspray. Oils are very important when it comes to iron work. Nothing takes a curl like clean, oiled hair. The oil helps protect the hair from heat and it adds an extra bounce to the curl. I recommend silicone-free oils when it comes to curls as silicone weighs down the hair. I love Kevin Murphy’s young.again hair oil. It’s not only silicone-free, but it actually “feeds” the hair. When it comes to hairspray there are two kinds — a working spray and a finishing spray. When working with curls you want to use a light holding product such as Moroccan Oil’s Medium Finish. It is light and flexible, and nothing is set in stone. When the look is complete you’ll want a hairspray that has more durability like Kevin Murphy’s session.spray. I feel like this look and many to come are for everyone who wants to change up their hairstyle. Any texture can do this. It’s great if your hair is already curly as you get to skip a few steps. If your hair is limp and fine, we will blow it up with the curling iron! The era of the Gibson girls screams romance. I see this style complementing any of our soft, romantic sides. Have you been feeling whimsical lately? Try her on with your favorite flowy dress. This look is perfect for second-day hair, but if your hair is clean, simply prep with some fiber powder wax or dry shampoo for grip, not slip. According to preferred direction, create a diagonal parting starting from the hairline. Overdirect the parting towards your face and back comb at root area. This will give lift in the fringe area. Slightly overdirect subsequent partings and backbrush the length. Think of a wedge — the first should be the most extreme over-direction, lessoning as you move towards the crown. Remove fringe section and clip aside for later. Flip your head over and smooth all of your hair towards the front hairline and into one hand. 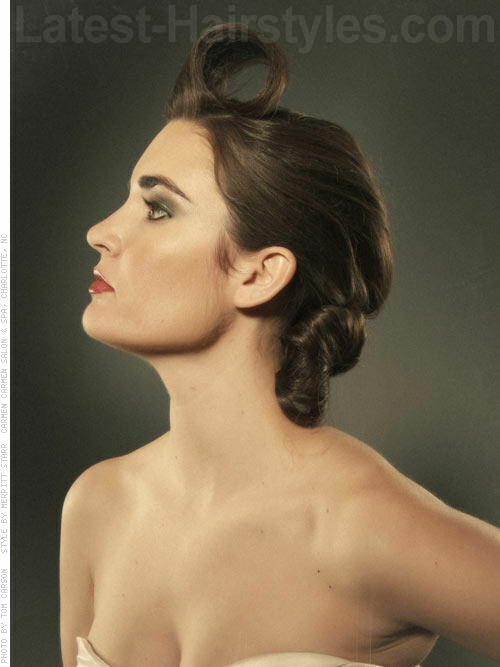 Once smooth, roll your hand over, folding the hair into a French twist and secure with bobby pins through the middle. Creating an “X” with the bobby pins works best to secure the style. Marry the fringe into the twist using hairpins. Remember to weave the hairpins in and out and then bend one leg creating a kickstand to lock it in place. Spray with a finishing hairspray. When it comes to fiber wax powders I only use one, and that’s Schwarzkopf’s Dust It. It has the perfect amount of grip you’re looking for when it comes to updos. Kevin Murphy’s fresh.hair is the only dry shampoo I use. I’m going to start sounding like a broken record here, but Kevin Murphy’s session.spray is my finishing hairspray of choice! I would say that almost anyone could pull this off regardless of texture and face shape. However, if you have a large forehead you should stay away from any style that is elevated in the fringe section. This will only enhance a feature you generally try to minimize. This is such a sweet little number I love to wear. 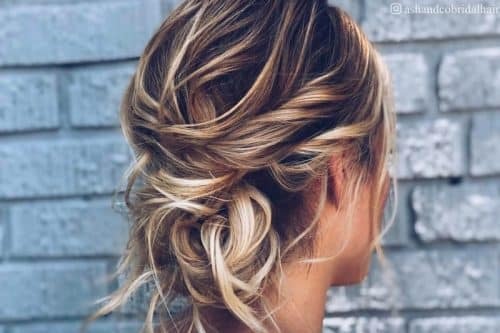 It’s another romantic and unique hairstyle that is perfect for those days when you want to wear your favorite flowery dress or feel a little bit “girly”. If you’d like the “tuff” in the fringe area as seen on the model, separate this section out. If not, disregard. Starting on the opposite side of the direction you would like the hair to flow, start a visible French braid one to two inches away from the hairline. You will move around the head until you reach around the back of the ear and complete the braid into the length. Repeat this braid on the opposite side of the head, except continue braiding until you have included all of the hair in the nape area. Once both braids are compete you will criss cross them and secure them to the head with bobby pins. Tuck the tails appropriately behind the braids. Pull on the width of the braid to loosen it up and soften the style. I like to lightly rub the braid in my fingers for added texture. No products necessary. You will only need invisible hair ties (small, clear or appropriately colored elastics) and bobby pins. Anyone who is a sweetheart can wear this regardless of face shape or texture. If your texture is rough or curly, you’ll want to flat iron your hair first to smooth down your strands. 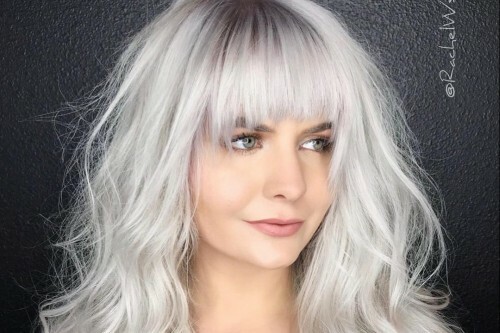 Once again, it’s not the shape of the face but the facet of your personality that counts when it comes to these unique hairstyles. Starting on top, section off hair from temples to just above the crown of your head. Either braid or loosely criss cross the hair on each side, directing the hair towards the back of the head. Gather both sides into a ponytail and twist them all together. Wrap and secure hair into a bun. Leave a small tail out and fan it with your fingers. In your top section, start taking horizontal partings and backcombing at the root area. Smooth the top section back towards the bun. 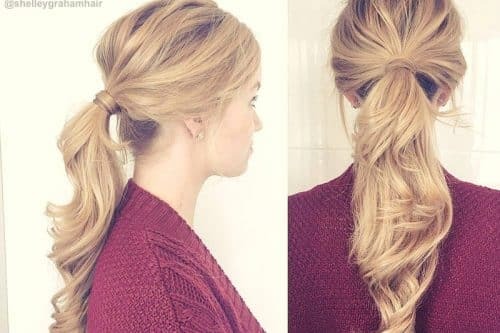 Wrap the remaining ends around the bun and finish with a setting hairspray. The Kevin Murphy session.spray is perfect for this look. It has all the strength this tough updo needs! This style is great for square and heart face shapes. The height elongates these face shapes giving the illusion of a more oval appearance. But in my opinion, this style is more about attitude than face shapes! Although this looks like a permanent style, it isn’t. The white perimeter is actually extensions! This is such a fun way to express your inner wild child. All you need are some fun colored, short clip-in extensions. Apply appropriate working product for hair texture. Using a Denman or paddle brush, start blow drying hair from left to right, following the shape of the head. This is referred to as a wrap dry. You want to direct the hair towards your face on both sides. Once the hair is dry, take a diagonal parting from the bottom of the temples to the back of the head, just under the occipital bone. Clip this hair up. Sprinkle fiber powder wax onto the root area of the perimeter you have just created. Tightly backcomb product into root area making it as close to scalp as possible and leave length combed down. Insert the barrettes of the clip-in extensions into the prepped perimeter. The combination of the backcombing and fiber powder wax will prevent slippage for all day/night stamina. Depending on the density of your hair you will need to do one to two rows. When I say use appropriate working product for the texture of your hair, I am referring either a volumizing product for fine hair or a strong smoothing product for pulling out the curl and sealing down the cuticle. There are two volumizers I go back and forth between — Kevin Murphy body.builder or Kevin Murphy anti.gravity. The body.builder is a blow foam that actually fattens up the cuticle not only to give lift, but to give the effect of denser hair as well. The anti.gravity is a volumizing gel-type styler that lightly detangles and adds hold for the length as well as the root area. Typically I use the body.builder for medium density hair with a stronger cuticle, and the anti.gravity for ultra fine and super soft hair. If your hair is a little on the wild side, you will need to use something a little bit stronger for your working product such as a gel/oil cocktail. I love Alphaparf’s Semi De Lino’s Crystalini Gel used with Moroccan Oil. Try the Schwarzkopf’s Dust It for the fiber powder wax. Like I have said earlier, this look is more about attitude than anything else! For the distinctive inner queen inside of us all, there is the dramatic braided crown. 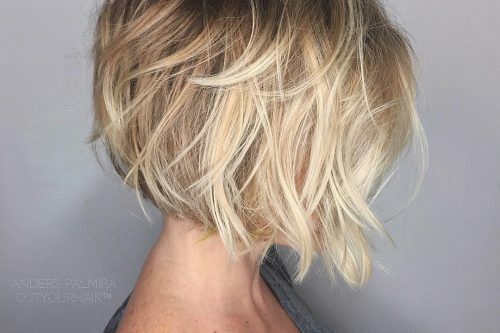 What’s the best part about this style? The hair doesn’t have to be all yours! Many of us have major hair envy when it comes to all of the glamorous red carpet events. Little do we know, but most of those extravagant styles have a little “hair help”. Once again, you will need to get clip-in extensions or the “Phony Tail”. Just make sure the hair is real! This works best on second-day hair, but if hair is clean, simply prep it with dry shampoo or fiber powder wax. Lightly backcomb root area in the back of the crown and smooth over. Using a round brush vertically, blow dry fringe to preferred side. Sweep all of the hair into a ponytail and into one hand. Fold your hand over, turning the hair into a French twist. Using bobby pins in an “X” formation, secure the style in the tunnel of the twist. Use a firm finishing spray. Use a crimper to create this crazy zig-zag texture on the extensions. If you are using clip-in extensions start rolling them up at the edge of the seam and wrap a discrete elastic around the ponytail. 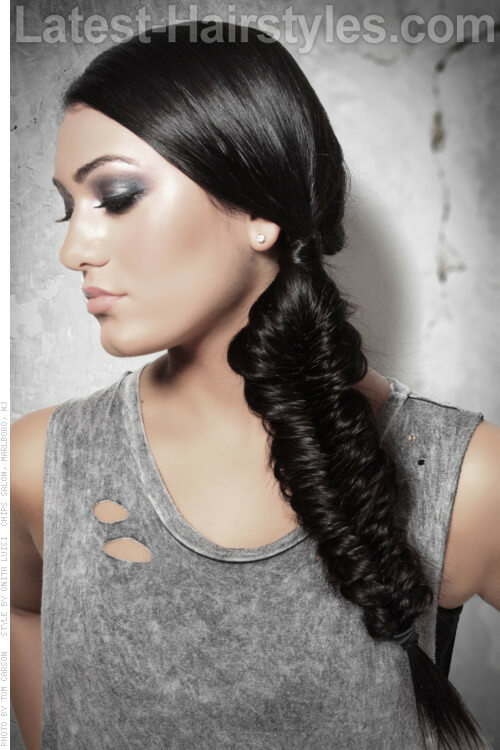 Braid extensions and pull at the width of the braid to loosen it up and add texture. Tuck the seamed edge into the French twist and secure with bobby pins. Tuck the seam of the extensions into the twist and wrap the crown around your head. Secure it using bobby pins. Make sure to use the “X” formation while securing pins. Try Schwarzkopf’s Dust It for the fiber powder wax and the Kevin Murphy session.spray for your finishing spray. A style this strong needs a product that can keep up with it all night long! The real question is not who can wear this, but when?! This style is definitely for a nighttime affair. With the right dress and attitude, this look will reign the party. Hollywood has been obsessed with vintage hairstyles lately, and so have I! Haven’t we all wanted that classic “Veronica Lake” look before? This elegant style is actually quite easy to achieve, especially if you’re pretty good at wielding a curling iron. On clean dry hair, run your favorite oil throughout the lengths and ends. Create horizontal partings off of your desired part. Spray them lightly with a working hairspray and curl with your iron. As you finish completing each parting, pin it with a long slender clip like a duck bill clip. Allow for the set to cool down for a few minutes. Lightly brush out the set. Make two sections from the top of the head to the ears like a headband. Smooth each section with your hands and pinch the ends together. Start to push the hair up and find the “S” pattern. Slip an upside down iron into the hair under the crest of the wave (basically the bend in the “S”). Roll the iron up to the crest and hold for a few seconds. This will exaggerate the bend of the curl. Clip the hair under the crest you just ironed and slip a piece of tissue paper under the clip. This will help prevent bends in the hair that the clip can create on warm hair. Complete both front sides and move to the back of the head. Brush the back into one section. Roll the ends up into a curl, pin with a clip, and spray with hairspray. Spray style with a strong finishing spray. Remove the clips and voila! I recommend silicone-free oils when it comes to curls because silicone weighs down the hair. I love Kevin Murphy’s young.again hair oil. 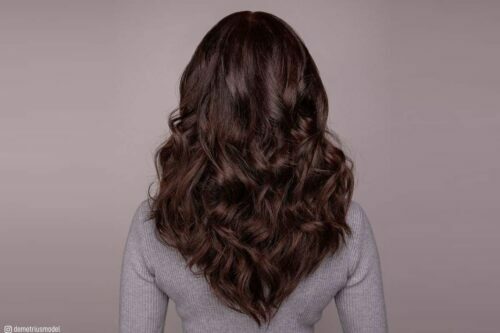 When working with the curls, you’ll want to use a light holding hairspray like Moroccan Oil’s Medium Finish because it is light and flexible. Complete a look like this with Kevin Murphy’s session.spray so it will stay all night long. Anyone can wear a variation of this style as long as the length of the hair is at least chin length. Although one length hair is fine for this style, layers work best. The length can weigh down the movement of the “S’ pattern. Fishtail braids get the most attention out of any of the braid family and they look more complicated than they are. When I was a little girl this is the only braid I could do! If a six year old girl can give her doll a fishtail, so can you and you’ll look just as innocent and lovely wearing it. Create a part on preferred side. Smooth hair into a low ponytail and secure with an elastic. Pull a small amount of hair out from underneath the ponytail and set it aside. We will use this later to wrap around and hide the band. Divide the hair into two sections. Take about an eighth of one side from underneath and wrap it around the top of its home section, crossing over to its neighbor. Repeat this action on the opposite side. This braid is basically like a “give and take” from each side. The small amount you are taking from the back of each section and crossing over to the next is what gives this braid its signature look. If you do not wrap it from the back around to the top and cross over, you will not achieve the desired look. Continue this action until you are finished with the length and secure with an elastic. Once the braid is completed, start to deconstruct the braid by pulling at the width. This will soften the style, add texture, and make it more interesting. Take the small section of hair we left out in step three and slide a bobby pin over the tail end of it. Roll the pin in your fingers to allow the hair to wrap around the pin a few times. Wrap it around where the elastic is located and slide there pin through the elastic. This will conceal the elastic and bobby pin. Honestly, no products are necessarily needed here. You will need elastics and a bobby pin or two though! Anyone lucky enough to have hair that is long enough to pull this one off is more than allowed to flaunt this ditty. And if not, put someone else’s hair in! I love extensions. They truly have blown the barn door open for most of us fine haired gals that can’t get the length or density that the other “chosen ones” have. Now any of us can pull off a look like this one. When your innermost punk rocker must scream the rebel yell, this is your go to style. This look is so easy, yet complex in appearance. Not to mention this look can easily be transformed into a “red carpet’ look with no questions asked. With a style this tough, no one will question you, regardless of where you wear it! Create your first section using the arches of your eyebrows as reference for the width on top, moving towards the crown. Complete your second section by continuing the width of the previous section down to the nape of your neck. Divide the fringe out from the top section into horizontal partings. With a small crimping iron, work hair from roots to ends. Overdirect your first parting, moving it towards your face, and backcomb the root area. Continue repeating this for two more partings. Smooth the fringe over until balance is achieved, and secure into place with bobby pins in an “X” formation to lock in place. Scoop up a section of hair that is comparable to the fringe section for balance. Use a small crimping iron on this section from root to ends. Take the tail of the fringe and the crimped section and tie them into a knot. Pin the knot with criss crossed bobby pins. Quick Tip: Where you place your fingers as you are working is generally where you will pin the structure. Create a third section behind our first knot. Leave this hair smooth. If hair is fine, backcomb the smooth sections to help create expansion and fullness. Create a fourth section to match the other sections’ size and crimp the hair from roots to ends. Tie the third and fourth sections into a knot and pin them into place. As you are working your way back, periodically check your profile to make sure it has the correct flow to it. You do not want the sub-sequential knots to be smaller or larger than the previous. When you reach the nape area, slick the sides down to the back of the structure. Use a blow foam or mousse on the hair to smooth down flyaways. This will keep the hair in place without it getting the “wet” look. Use this hair to complete the knot work, crimping each section as needed. Crimp any and all tails that are sticking out. If you do not have long tails, you may fan them out with your fingers or tuck them into the knots. The body.builder from Kevin Murphy is perfect for this style. It will give you the right amount of body to prep the hair if you’re working with it from wet to dry, and to keep the sides down with out any crunch or shine. If you have super fine hair, you may use Dust It powder fiber wax from Schwarzkopf. This will also help grip your bobby pins and keep them from sliding out and off your head. Kevin Murphy’s session.spray is perfect to finish off this style for a long lasting rocker’s night out. Oval, triangular, and square face shapes can wear this, unless you have the notorious “five head”. The height in the pompadour is great for balancing out any hard or pointy jawlines and oval face shapes get away with everything. No bashful Bettys for this hairstyle though! You need to bring the much needed attitude to rock this one out. The topknot has been made quite popular over the past couple years. This effortless style came about as models would show up to their shoots with their hair simply twisted and tied on top of their head. Whether you’re running short on time or want to flaunt your inner sparkle, this style will quickly get you there. This works best on second day hair, but if your hair is clean, simply use a dry shampoo to give it some grip and prevent slip. Brush hair up into a ponytail on top of your head and secure with an elastic. Split the ponytail into two sections. Tie the hair into a knot. Pin the loops down where your fingers are, securing the style. If your hair is very long, you may need to tie off two sets of knots. Remember to criss cross the bobby pins to secure and lock the style for longevity. You realistically need only elastics and bobby pins for this look! Anyone and everyone who has long hair no matter the texture or face shape can rock a topknot. No matter how you feel each day, there are so many different ways to express yourself. Now you can create unique hairstyles to match your mood! With so many variations and techniques, there is no shortage on showing off that unique style that is the quintessential you.